A Napier “Dolly Madison” bracelet featured in the December 1955 Vogue editorial. First used in 1922, this hinged bangle bracelet remained a staple in the line for over 70 years. It can be found with many surface patterns, including polished, textured, basket weave, and gold or silver tapestry. The bracelet has a characteristic “lip” around the edge as seen in the bracelet above. 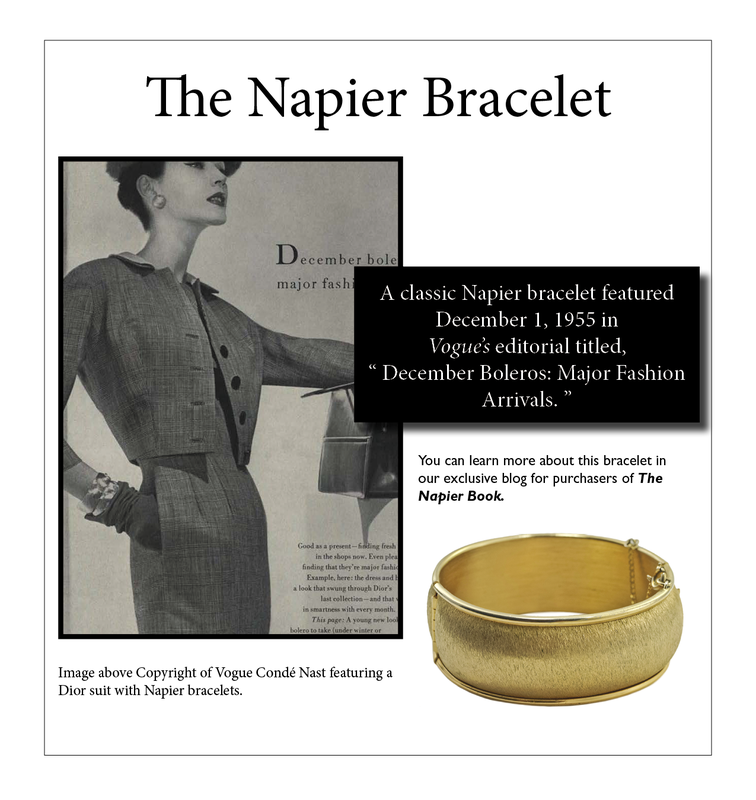 This article explains when the trademarked bracelet was first used by The Napier Co.